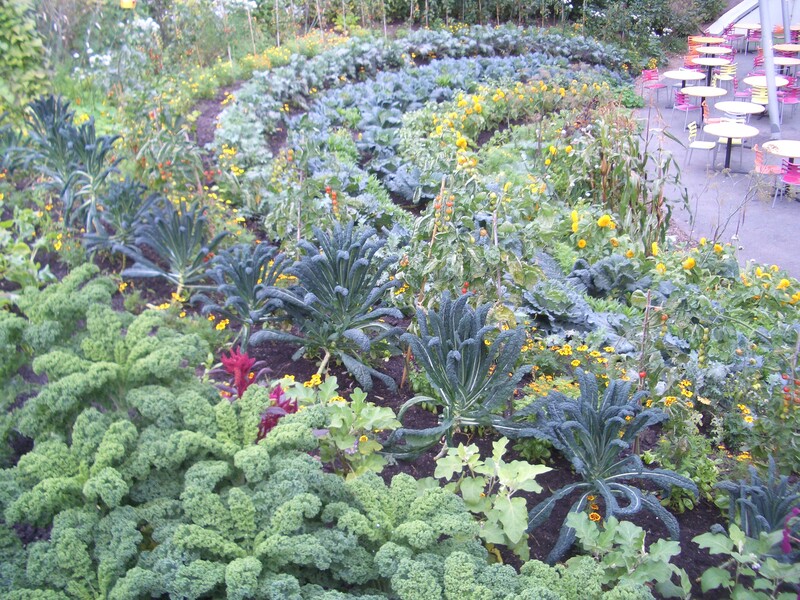 The ornamental kitchen garden, all-in-one garden, integrated garden and edible landscape are all terms to describe growing fruit and vegetables in with herbs and flowers. This looks good and has a number of advantages. Generally there is less bare soil exposed, less weeding and a decrease in pests and diseases. Some crops such as potatoes do not lend themselves to being grown in amongst perrenials in that they require digging to quite a depth to harvest. 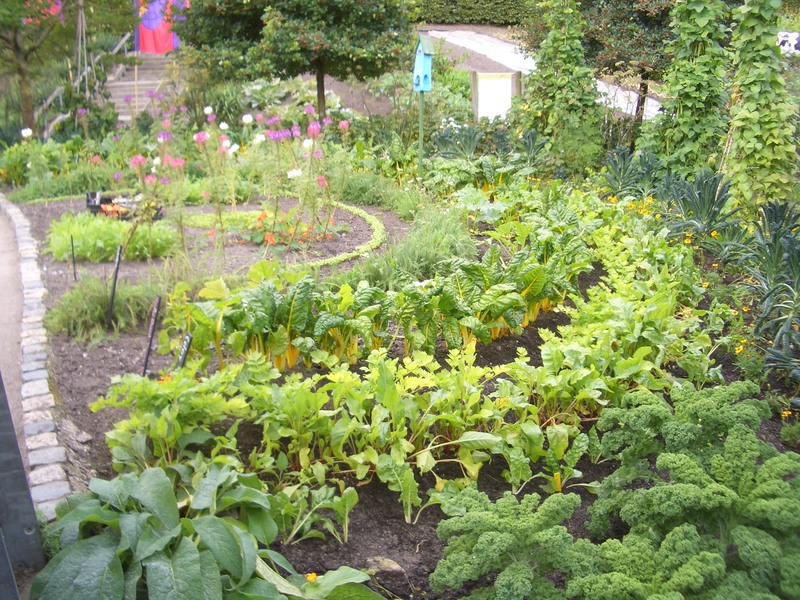 This vegetable garden is combined with a flower garden in the centre so can be managed very like a standard vegetable plot but you might not want to hide it away at the bottom of your garden. 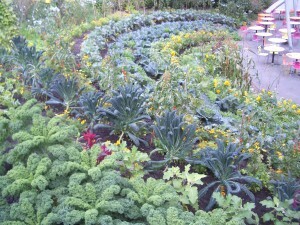 This garden is almost entirely vegetables and provides a harvest for the cafe at The Eden Project. It also provides a lovely landscape for the customers to eat in.